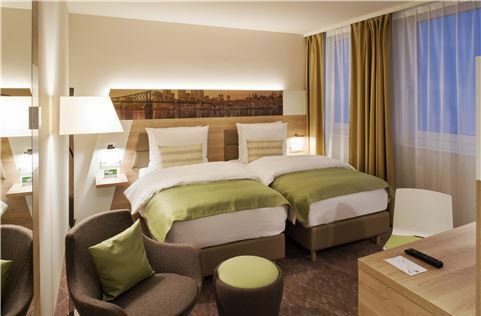 Situated in the Gateway Gardens district, within steps of the airport and minutes of local attractions and corporate destinations, Holiday Inn Frankfurt Airport is a inviting destination for business and holiday travelers. 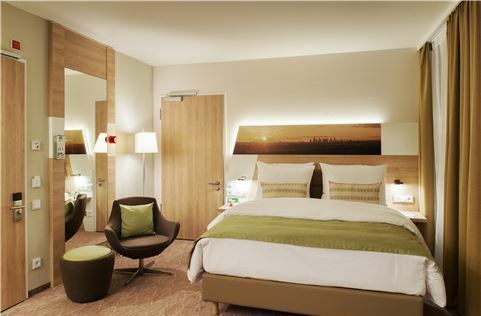 Contemporary decor, warm colors and lifestyle amenities inspire you to work or relax in smartly designed bed rooms. Savor local and international cuisine at the restaurant THE RAMP or share cocktails at the bar THE HUB. 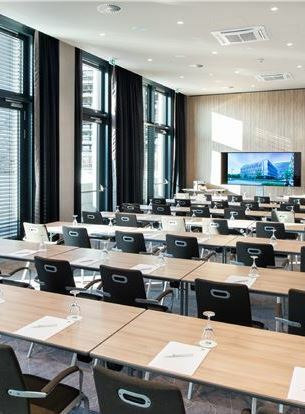 Plan a successful meeting or event in six stylish venues powered with audiovisual equipment and free Wi-Fi.Get energized in our mini-gym and stay on task in the business center. 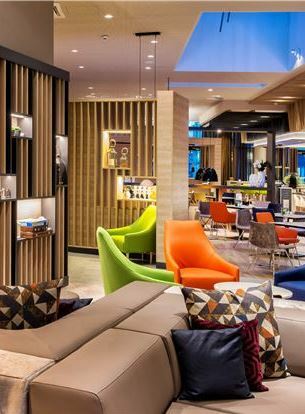 Discover a vibrant airport hotel in Frankfurt, where its easy to connect, meet, dine and explore Germany's Rhine River Valley. Corporate travelers will discover a personal sanctuary after a busy day. Relax in spacious rooms with a plush king bed, a well-lit work desk and high-class amenities, free minibar and bathrobe with slippers. Come home to a relaxing retreat filled with natural light, city views, a plush queen bed, and modern amenities like flat-screen televisions and free Wi-Fi. Relax in a welcoming space that's perfect for the leisure traveler. 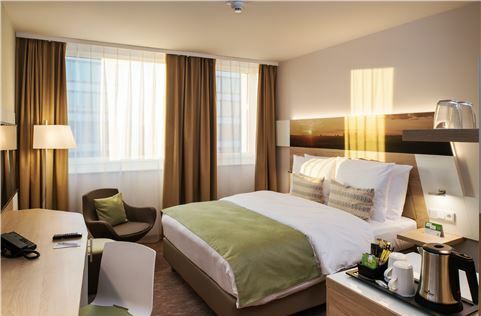 Unwind with a plush twin bed, free Wi-Fi and an palette of soothing colors and natural light. 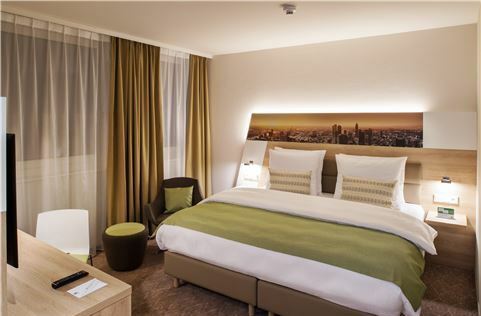 Feel at home in our beautiful new rooms. Enjoy a plush queen bed, wheelchair accessible spaces, roll-in shower, and amenities designed for your personal comfort. Learn about our stunning meeting spaces and event planning services. 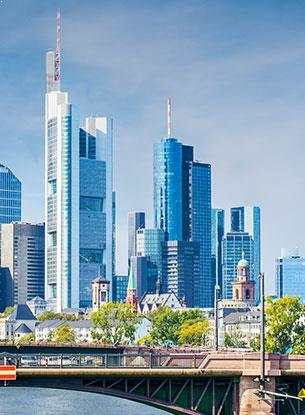 Walk to the airport and easily find exciting Frankfurt attractions.